Wood consistently ranks as one of the most popular flooring options on the market, and people appreciate it for a myriad of reasons. Wood is natural, beautiful, and if maintained properly, it can last for decades. Recent innovations have increased style options exponentially and also made it possible to install wood flooring in any room of the house, even kitchens and baths. It may be tempting to choose wood flooring based simply on the style you find most appealing, but if you want your wood floor to look beautiful for years to come, you must consider performance. 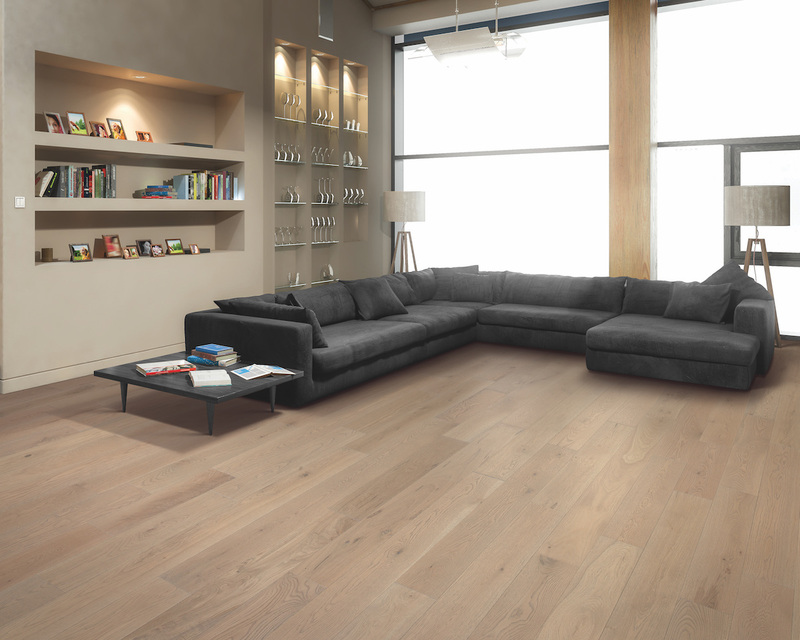 Before you go shopping for wood flooring, familiarize yourself with the different types available so you can better understand their benefits and limitations. Solid hardwood planks are solid pieces of wood from the finest domestic and exotic hardwoods that are stained and finished with a protective coating for gorgeous, natural flooring. Benefits: Because hardwood is the same material throughout, scratched and worn floors can be sanded down and refinished multiple times throughout their lifecycle to restore their original beauty. Considerations: Solid hardwood tends to cost more than the other types of wood flooring. Keep in mind that hardwood flooring is susceptible to water damage, so it is not appropriate for spaces like basements, kitchens, baths or mudrooms, where moisture may be present. Also, it cannot be wet mopped, so areas with frequent spills and messes from young children or pets may benefit from a higher performance flooring. Engineered hardwood is constructed of several layers of wood adhered together and topped with a layer of hardwood, making it indistinguishable from solid hardwood once it’s installed. Benefits: The layered construction gives engineered hardwood greater dimensional stability, minimizing gaps, cupping and buckling from expansion and contraction. Engineered hardwood can be used in areas not suitable for solid wood floors, including over concrete, on or below grade, and in areas of the country with high humidity or wider temperature shifts. Considerations: Refinishing may or may not be an option, depending on the thickness of the hardwood layer. Also, even though engineered wood is more dimensionally stable, it is still far from waterproof, so it’s not the best choice for areas like bathrooms, kitchens or mudrooms. Engineered hardwood shouldn’t be wet mopped, and frequent spills and messes may cause issues. RevWood Plus is constructed similarly to engineered, with several layers of wood adhered together, but rather than a hardwood layer, it is topped with a design layer and protected by a waterproof flooring system. Benefits: RevWood Plus may be the best solution for families with small children or pets who want the authentic beauty of hardwood, but need high performance flooring that can stand up to the soiling, spills, and wear and tear that are part of daily life with kids and critters. It resists scratches, scuffs and stains, plus it comes with All Pet Protection, and it’s affordable. 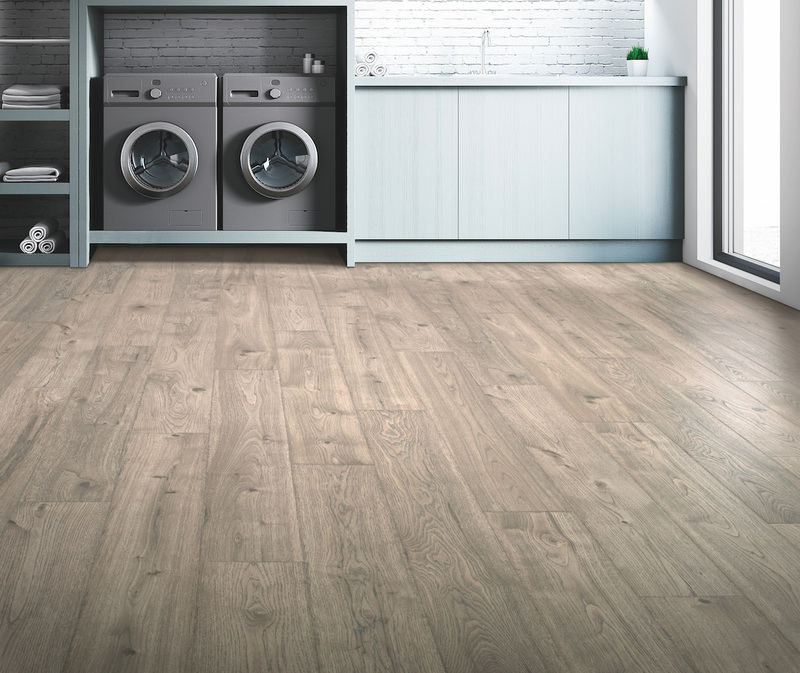 RevWood Plus is protected by a waterproof flooring system, so it can be installed in any part of the country and in any room of the house, even mudrooms, kitchens and baths. RevWood Plus can also be wet mopped, so spills and messes get cleaned thoroughly without damaging the flooring or subfloor. Considerations: RevWood Plus cannot be refinished. 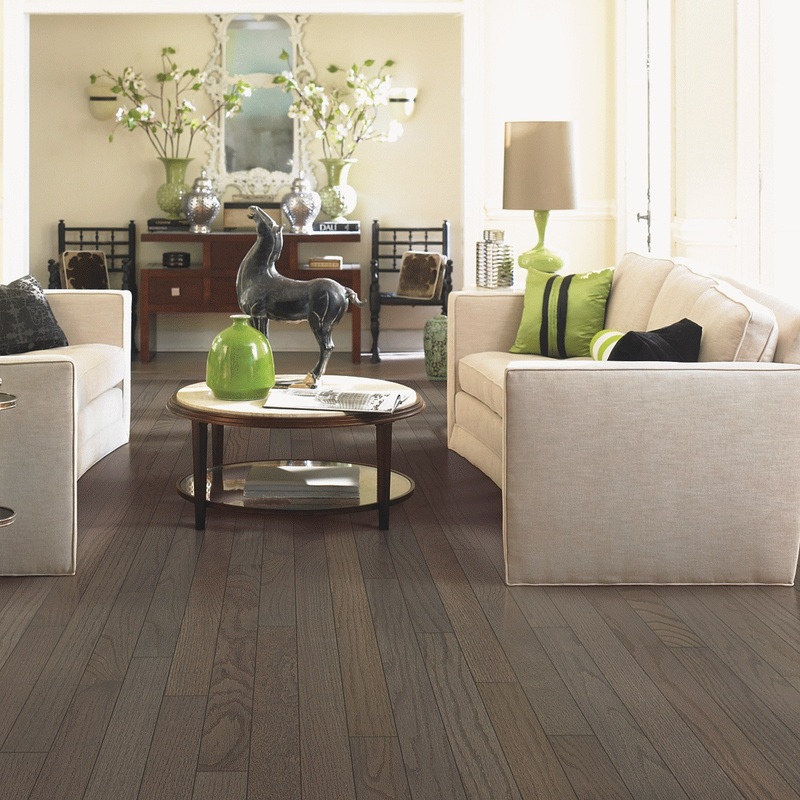 Before you shop, evaluate the room or rooms where you want to install wood flooring. Think about the amount of activity, moisture, messes and the maintenance required to keep the floors clean, and then compare prices to decide on the right type of wood for your space and budget. Once you’ve determined the type of flooring you want, you can search for it in the style and color you love. Taking a little time to decide on the right type of wood flooring will help ensure that your floors are not only beautiful the day they go in, but will keep looking beautiful for many years to come.